Come along and have a glass of wine, soft drink, tea or coffee, ice-cream, while you enjoy new and recently released films. next film . . . The Kilmington Branch was formed on 6 March 1925 to join many others which were being founded throughout the country under the Charter which was promulgated on 21 April 1925 by authority of His Majesty King George V. The Charter was amended on 10 September 1971, by authority of Her Majesty Queen Elizabeth II, granting the title “The Royal British Legion”. With over 140 Royal British Legion members in this small village many fund raising events are held throughout the year including the Spring and Autumn Coffee Mornings and the “Admiral’s Jug”, presented by a past President Admiral Roberts. Kilmington Gardening Club welcome new members. Membership is £5 per annum. Free admission to talks for members, £2 admission per talk for non-members. View the talks taking place throughout 2018. Early preparations are under way for our pantomime this winter although I can't tell you what it will be because we don't know yet, oh no we don't! What I do know is that we would like to hear from anyone who is interested in being involved on stage as this helps in selecting a pantomime that fits the sort of cast number we potentially have. We are also keen to hear from anyone happy to help behind the scenes in some way e.g. stage crew, light and sound, costumes, scenery etc. I am particularly keen to hear from anyone interested in doing the light and sound this year, so if you think you would like to help us please get in touch and I can give you more information. Further details about the pantomime and dates for casting and start of rehearsals will be in the next issue of Postscript. Make this year the year you get involved, it really is a lot of fun! Please contact Louise Quincey on 01297 32358. Kilmington’s Little Helpers was started by Sally Huscroft 10 years ago after a suggestion made by Brian Lavender. Its aim is to help with those little tasks that are now rather more difficult to do by yourself. These tasks could be anything from changing a light bulb, lifting heavy items or hanging curtains. Little Helpers don’t undertake lengthy tasks like painting and decorating but will help with awkward small tasks that require a certain skill or strength. The service is free. There are currently around 10 volunteers but we're always looking for more people. If you think you can be a helper or need help yourself please contact Sally Huscroft on 01297 32243. 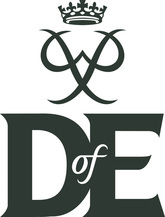 The Duke of Edinburgh awards have been running in Kilmington for nearly twenty years! It was started by Richard Cotter, youth leader, at the Baptist Church and is now based at St Giles Church hence the name Five Alive. We have about forty young people at various stages of the award. There are three levels, Bronze, Silver and Gold. Four sections are completed at each level and five sections at Gold level. The extra section is the Residential, which involves being away for five days on a residential activity. Some of our young people have been on Tall Ships, helping projects abroad, CCF camps, charity activities, photographic courses and sailing courses. The four sections are Sport, Skill, Volunteering and Expedition, two days Bronze, three days Silver and four days Gold. The expedition can be walking, cycling, canoeing and horse riding. We often go to Dartmoor or the Brecon Beacons for our Gold expeditions. Some of our young people have been to Kenya and the Picos, Northern Spain for their Gold expeditions. We meet for training in the Hitchcock Pavilion, usually on Friday evenings.